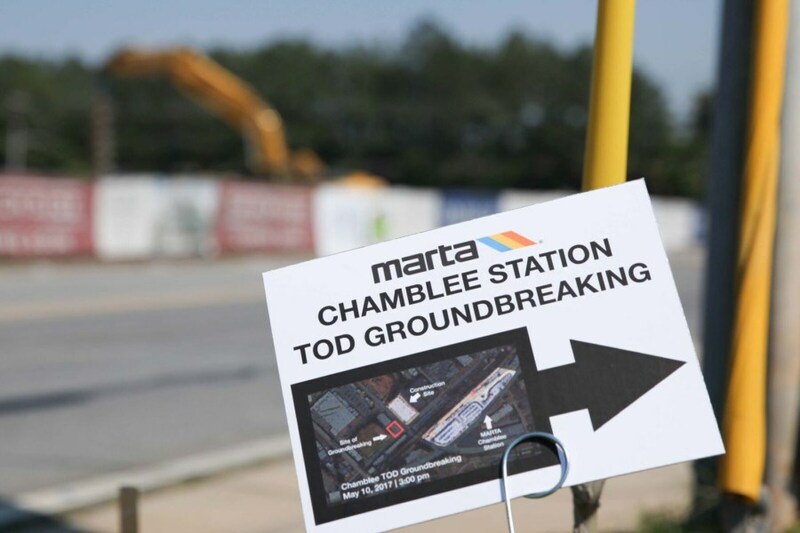 CHAMBLEE, Ga., — Metropolitan Atlanta Rapid Transit Authority (MARTA) is chugging along with its vision for a more connected Atlanta. The company is on the leading edge of Transit Oriented Development (TOD), developing areas around their rail stations into mixed-use developments to increase ridership, improve neighborhoods and increase profits with long-term leasing. Lewis Contracting Services won the bid to carry out the grading and site development work for a new TOD development in Chamblee across the street from the Chamblee MARTA Station. The $25 million project named “Trackside” is a collaborative effort between MARTA and developers, Parkside Partners and Pattillo Industrial Real Estate. The first phase of the redevelopment will include 80,000 square feet of office space and 13,000 square feet of retail space, with 4,300 square feet of green space. Pattillo Industrial will relocate their headquarters to the new site and MARTA will retain ownership of the 2.5-acre site and lease to the property developers. Lewis Contracting Services will clear the site of existing trees, shrubs and vegetation ensuring positive drainage to be maintained on site to prevent ponding. They will provide complete erosion control, grading, underground utilities, sanitary and storm sewers and systems, and water systems. The new project and work is expected to be completed by May 2018.